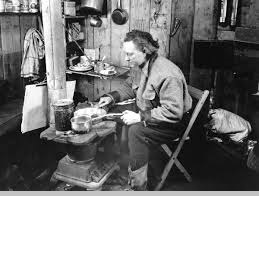 When Admiral Byrd returned to the United States from his first Antarctic expedition in 1930, it was the start of the Great Depression. Banks were failing and people were being thrown out of work. And yet Byrd conceived a second expedition to the “Ice” to be made for scientific research and to discover new territory. 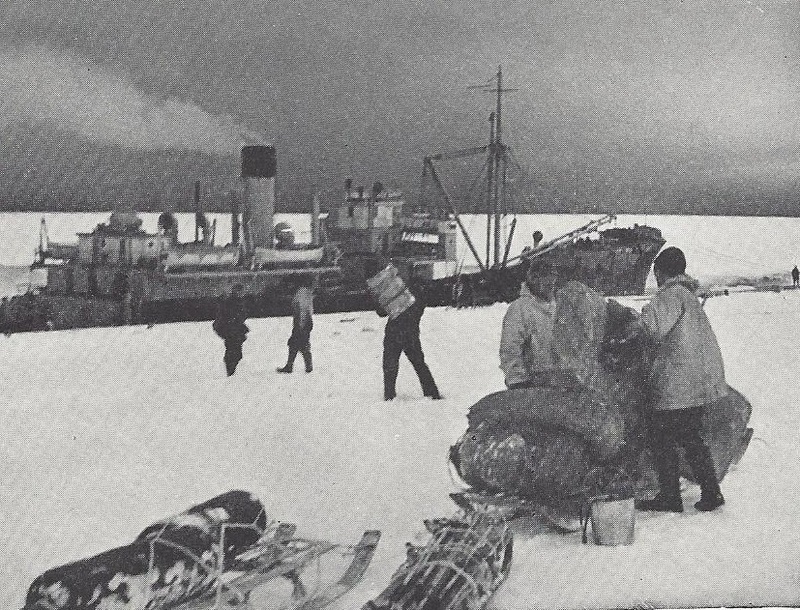 The second Byrd Antarctic Expedition (BAE II) would use Little America as base camp. Although sponsored again by the National Geographic Society Byrd still needed to raise additional funds. He understandably received mostly small donations. Just as important were corporate donations of not money but food, fuel, and supplies. Byrd assembled two ships, the metal freighter Jacob Ruppert and the wooden barkentine Bear of Oakland which had been used as an ice breaker in the Arctic. 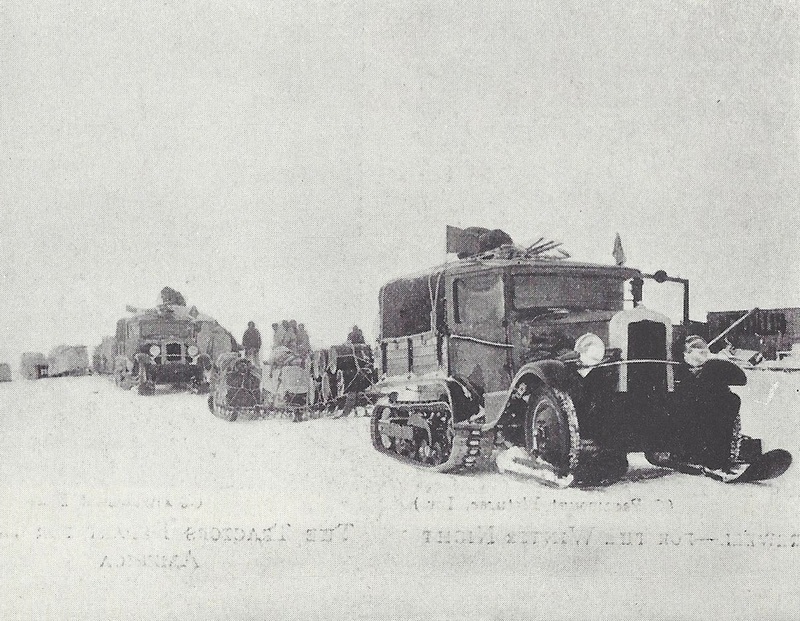 Then there were four airplanes including a big Curtiss Wright biplane with two 725 horsepower motors and four tractors which were to prove invaluable in the unfolding events to come. Last but not least there were 153 sled dogs. No one had ever spent the winter in the interior of Antarctica. 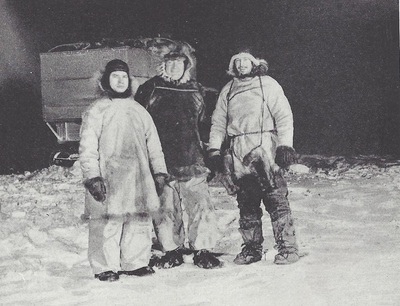 Byrd planned to establish a meteorology station at the foot of the Transantarctic Mountains 400 miles south of Little America to be manned by three men. Due to their late arrival, however, and the amount of supplies to be hauled by the tractors they set up the Bolling Advance Weather Station 123 miles south of Little America in March, 1934. Byrd also decided he would man the station alone for the next six months. The first two and a half months went well, Byrd made periodic temperature and barometric pressure readings from instruments outside and communicated with Little America on a regular schedule tapping out Morse code. Then he suddenly experience shooting pains in his head and nausea, the sure signs of carbon monoxide poisoning. Sure enough the generator used for power AND a stove vent clogged with ice were leaking carbon monoxide into the shack. tractors across the ice riddled with crevasses. 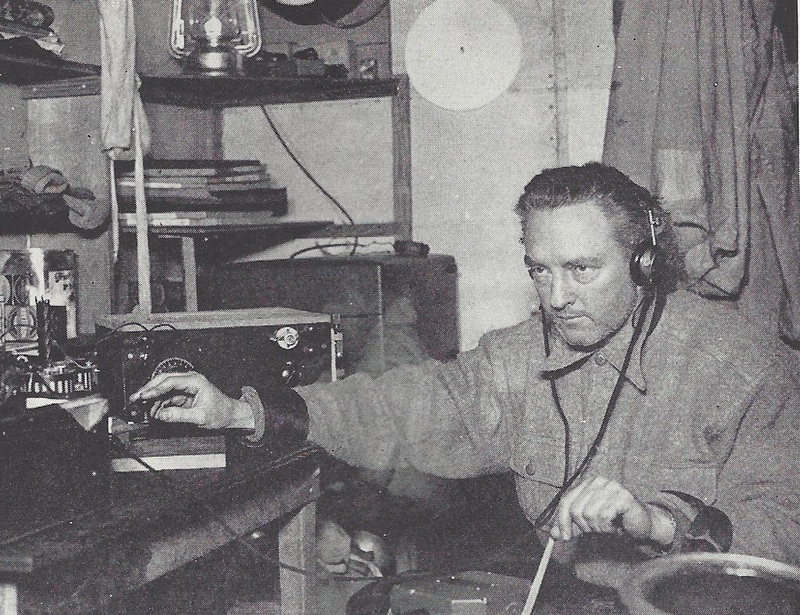 Tom Poulter, second-in-command, hatched a plan to take a rescue team out in the tractors under the guise of doing meteor observations. 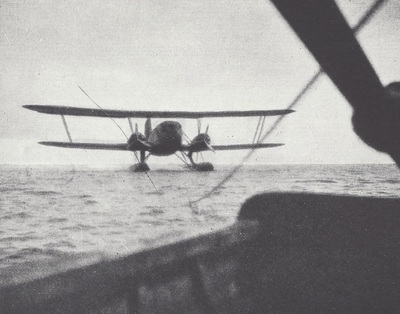 On their third attempt Poulter, Bud Waite, and Pete Demas arrived at Advance Base and found the Admiral weak and frail; he had lost 60 pounds in the ordeal. They stayed with him for two months, nursed him back to health, and brought one of the planes out to fly him back to Little America when the sun returned in October. 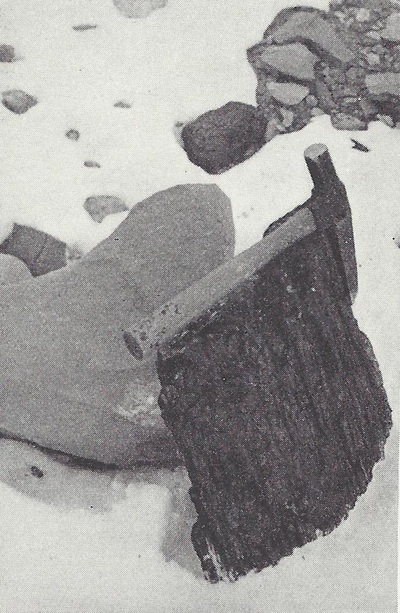 In spite of Admiral Byrd’s ordeal BAE II returned with a treasure trove of scientific knowledge. Over 1,000 miles of coastline were mapped using the planes. 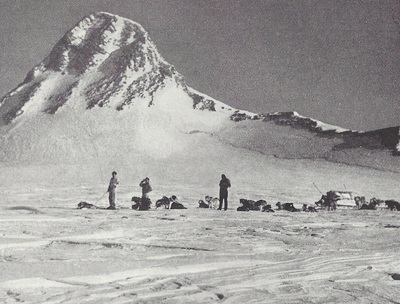 Twenty two scientific disciplines were studied with geology being one of the most fascinating: Dr. Quin Blackburn discovered tree fossils in mountains only 210 from the South Pole proving that Antarctica had once been a much warmer place.